The Rwanda National Police (RNP) says road accidents are still rampant on the highways singling out motorcycles as major causes of the accidents. About 71% of the total road accidents registered since the beginning of 2017 were either caused or involved motorcycles, pedestrians and bicycles, commercial motorcyclists taking the lead. Police said yesterday during the launch of the road safety week campaign that major causes of these accidents include recklessness and indiscipline. 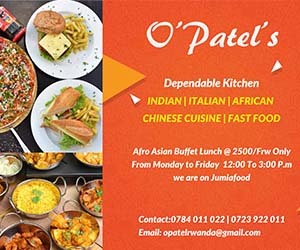 Drunkenness, violation of traffic lights, abuse of zebra crossings and dangerous maneuvers such as over-taking in hotspots were also cited as causes of accidents. The campaign is mean to curb road carnage, with open discussions with motorcyclists on effective usage of road and persistent issues within their cooperatives. 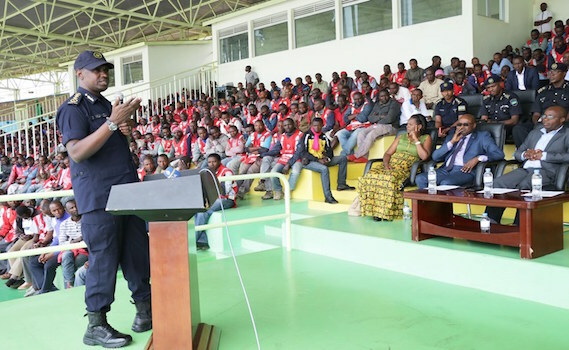 Hundreds of commercial motorcyclists in Kigali City, where most of the accidents happen, were invited at the Nyamirambo Regional Stadium to discuss the matter and also talk about internal issues within the federation of motorcycle cooperatives, with members raising issues pertaining to alleged office abuse, financial irregularities, and rough handling of motorcyclists by their security personnel. Commercial motorcyclists raised various issues aimed at promoting road safety and their business. Other issues raised by motorcyclists were delayed or denied issuance of monthly financial membership contribution receipt and RURA transport authorization permit, where their leaders are said to go further to solicit bribes as a prerequisite to acquire a service. State Minister in charge of Transport, Alexis Nzahabwanimana, who presided over the official launch of the road safety week, said that the government is “committed to implementing all possible strategies to enhance road safety measures” which will further curb road accidents. “The government is well aware of challenges faced or caused by commercial motorcyclists and remains committed to address them. We will continue promoting modern technology to support efforts of keeping our roads safe and security intact,” the Minister said. The Deputy Inspector General of Police in charge of Operations, Dan Munyuza appealed to road users and motorcyclists in particular to change their attitude on road and respect road safety standards. “Most of these road accidents are avoidable if traffic rules are strictly adhered to by all road users. Reckless use of road means putting lives of other road users at risk, which we can’t afford,” DIGP Munyuza said. He requested the motorcyclists to be vigilant and report anyone whom they suspect or witness committing a crime, or attempt to involve them in criminal activities. It is alleged that over 90% of drug traffickers and thieves use motorcyclists to commission the crime. On the issues of indiscipline, the DIGP noted that police may consider suspending the driver’s license of the offenders if its a better option to prevent a crime or accidents. The Mayor of the City of Kigali, Pascal Nyamulinda also appealed to taxi-moto operators to fight against all sorts of crimes, and commended RNP for its continued efforts in ensuring security and supporting hygiene programmes in Kigali. Meanwhile, concurrent road safety awareness campaigns were held across the country especially in schools where students were sensitized on safe road usage. The road safety week will also include radio and TV talk-shows on road safety and other forms of sensitization using online and print media platforms.